The Portuguese oyster Crassostrea angulata (Lamarck, 1819) was long assumed to be native to the northeastern Atlantic, however, a number of lines of evidence now indicate that it is a close relative, or identical, to the Asian Pacific oyster C. gigas (Thunberg, 1793). Three hypotheses have been proposed to explain how this strikingly disjunct geographic distribution may have come about: ancient vicariance events, recent anthropogenic introduction to Asia and recent anthropogenic introduction to Europe. We have performed a molecular phylogenetic analysis of C. angulata based on mitochondrial DNA sequence data for a 579-nucleotide fragment of cytochrome oxidase I. Our results show that Portuguese oyster haplotypes cluster robustly within a clade of Asian congeners and are closely related, but not identical, to C. gigas from Japan. 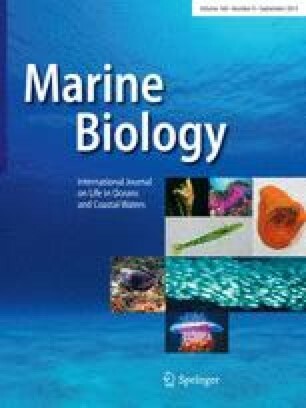 The mitochondrial data are the first to show that Portuguese oysters are genetically distinct from geographically representative samples of Japanese Pacific oysters. Our phylogenetic analyses are consistent with a recent introduction of C. angulata to Europe either from a non-Japanese Asian source population or from a subsequently displaced Japanese source population. Genetic characterization of Pacific oysters throughout their Asian range is necessary to fully reveal the phylogenetic relationships among Portuguese and Pacific oysters.